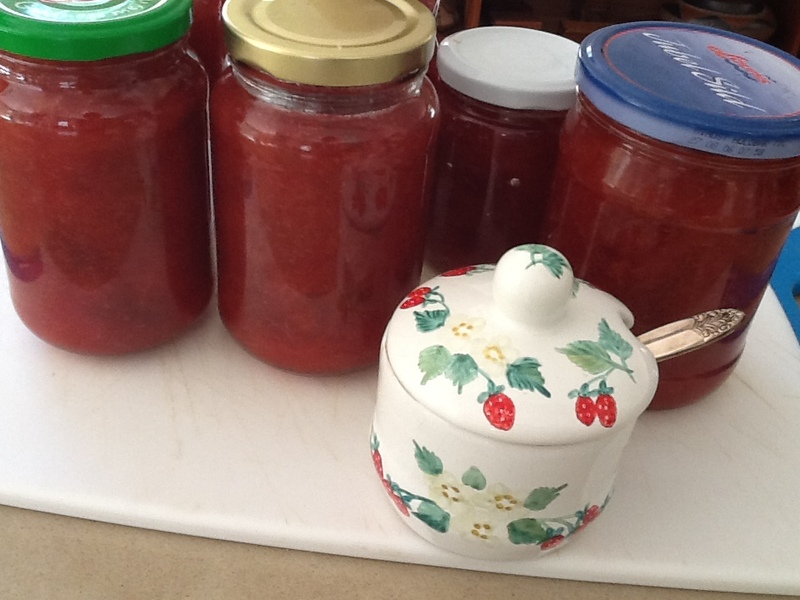 If you live in Australia and have access to a prunus tree, now is the time to make jam. In Canberra you find them in many public areas. The fruit which is not eaten by the birds just falls to the ground and rots. I have a friend whose dog thinks they’re delicious and eats any she can find at the park where we meet with our four legged friends. Her owner has to stop her so she doesn’t get an upset tummy. While the plums are too acid to appeal to most people uncooked, they make a delicious, tangy jam with a lovely bright red colour. Prunus plums seem to ripen at different times on different trees, so you need to keep an eye on your target and pick them before it’s too late. As soon as the birds start to take an interest you need to be quick! One week they’re ready, the next they’re all gone. The plums are quite small so removing the stones by hand after the fruit is cooked is the easiest way to do it, but it does involve getting your hands into the pot! If you miss some it only gives authenticity to the finished product. Well that’s what Matthew who was doing the de-stoning said. The more pectin fruit has, the more acid it tastes and the more quickly it will set. Some jams, such as strawberry and apricot, can take forever to reach setting point, which is why recipes often suggest adding some lemon juice. One way to check if the jam has reached setting point is to put a small plate in the freezer and let it get very cold, then put a teaspoon of jam on the plate (taking the jam off the heat while you do it) to see if it sets. With experience you can tell just by looking. With Prunus Plum Jam it’s not really necessary to test because the fruit has lots of pectin and the jam sets very quickly. Many jam recipes call for the same weight of sugar as fruit, but we prefer ours to be more tangy so I always cut down. This jam is delicious on toast, with scones or swirled through thick Greek yoghurt as a dessert. 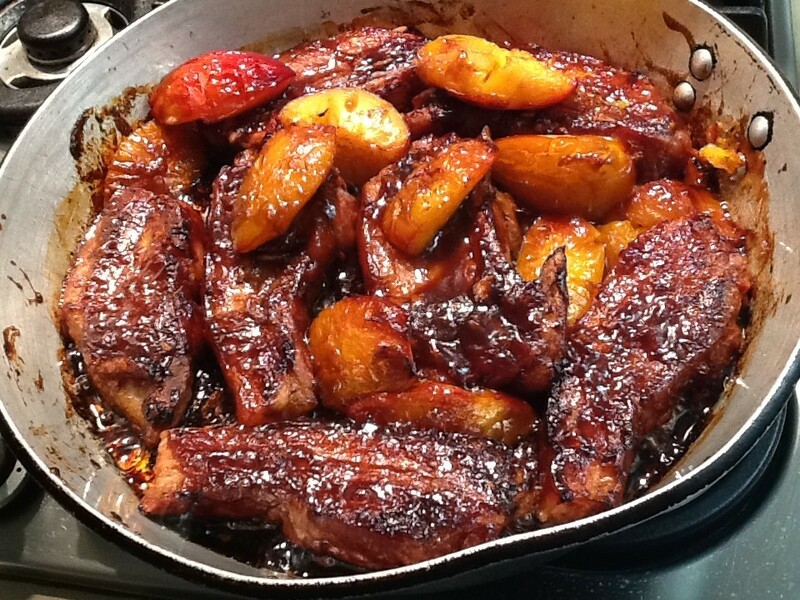 Wash plums and place in a large heavy-based saucepan or preserving pan. Add water, bring to the boil and simmer, stirring often, until fruit is soft. Cool then remove as many stones as possible, by squeezing the fruit by hand. Add sugar and bring slowly to the boil, stirring. When sugar has dissolved boil steadily, stirring often, for 3-5 minutes until setting point has reached, then add the butter. Meanwhile heat 6-8 clean jam jars in the microwave on high for 2 minutes (without their lids). Pour hot jam into jars and seal immediately. Keeps for up to a year in a dark cupboard. Refrigerate after opening. This entry was posted in Recipes and tagged easy, jam, preserves by Linda Peek. Bookmark the permalink. How wonderful it is coming back from visiting my daughter on posting to Geneva to find the incredible activity on your blog. All of the entries were wonderful. Rather like a bunch of Christmas presents. I have drawn my keen-cook daughter’s attention to your blog and she too is now enjoying your entries. I have loved and could happily eat everything you have posted – without exception. Thank you. 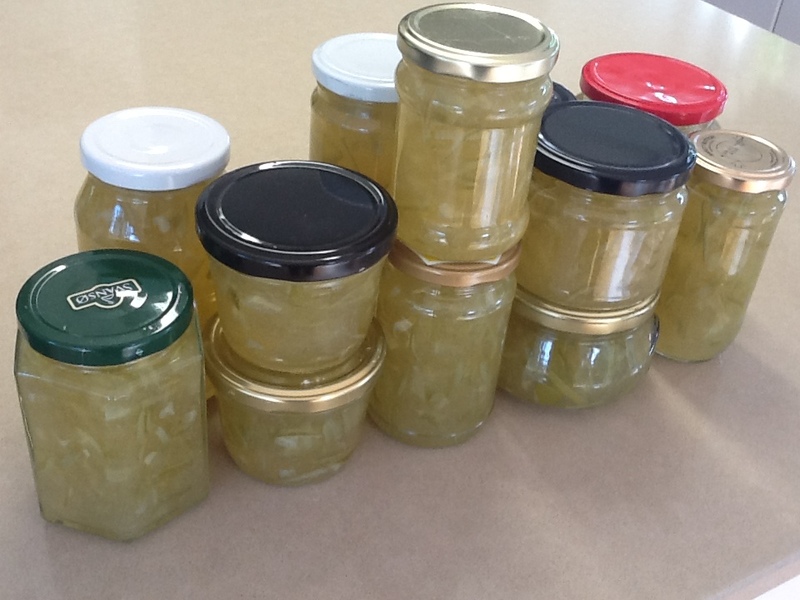 I love to make jam and I have two plum trees in the garden so always have jam made but never thought of adding butter…. Why? The knob of butter is a tip given to me by a great Auntie many moons ago. She always added it to her raspberry jam. Something about getting rid of the scummy froth you sometimes get on jam. First, the butter. Yes, it does prevent foaming and scum formation, but you can taste the butter in the jam. Very useful with strawberry jam making. Now the plum stones – we use a stainless steel chip basket to sieve the jam. Done cold after sweating the fruit and before adding the sugar. Good for large number of small stones such as with the ‘prunus’ jam or damson jam. Alternatively the traditional method is to collect the stones as they rise to the surface when boiling after adding the sugar. Use a slotted spoon and eye protection.